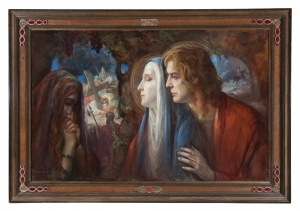 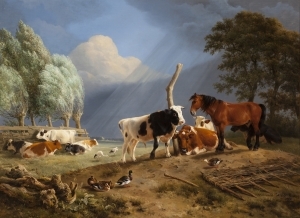 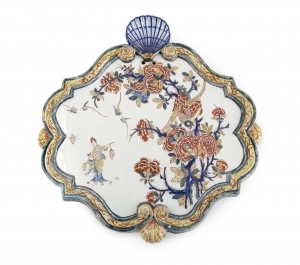 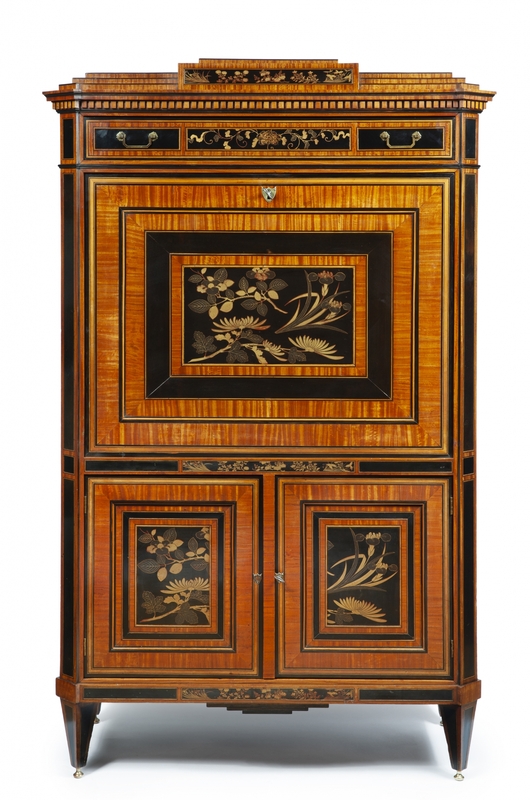 This secrétaire is of the “à abattant” type which was immensely popular in the last quarter of the eighteenth century. 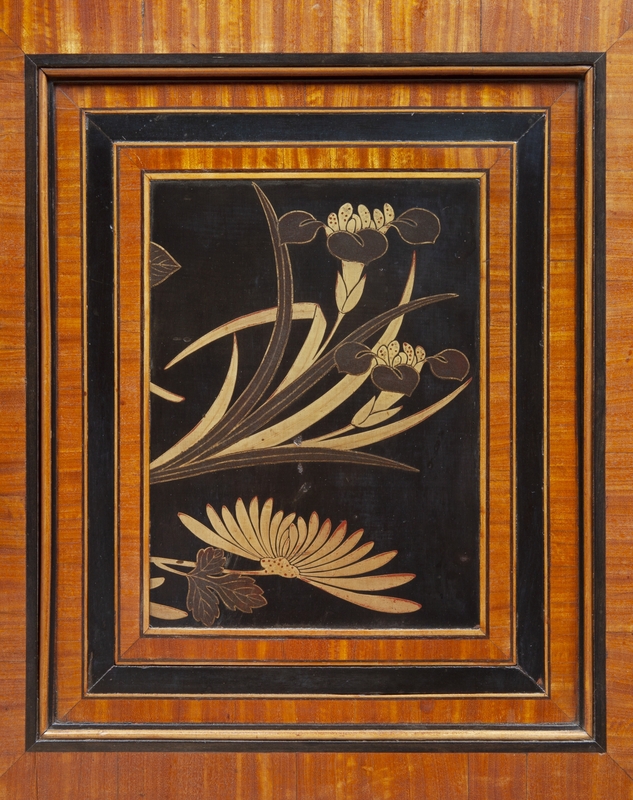 A abattant is derived from the French word abattre, which means “to put down”. 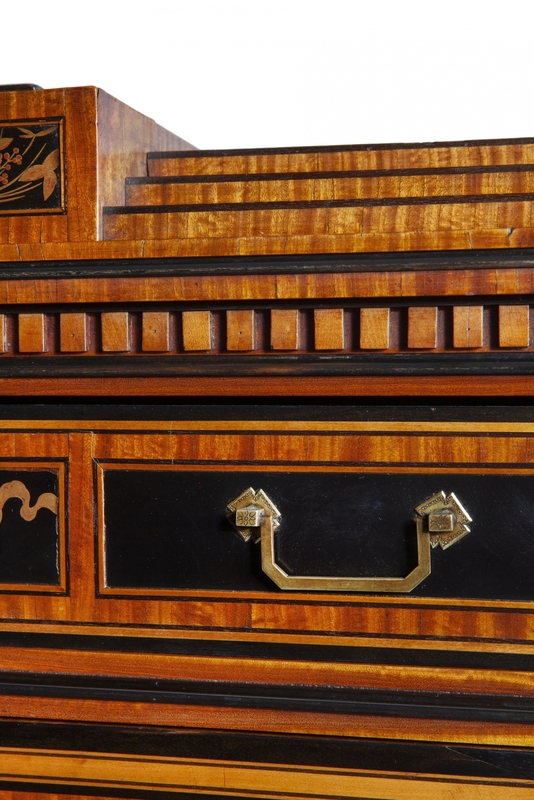 The secrétaire stands on four tapered feet of which the front ones are canted. 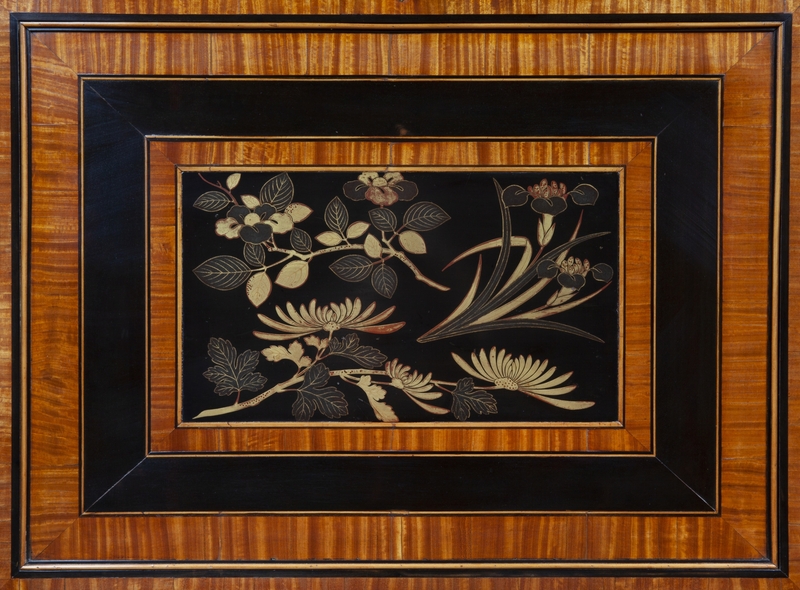 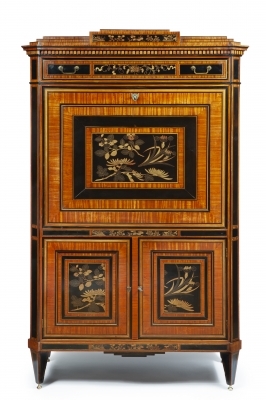 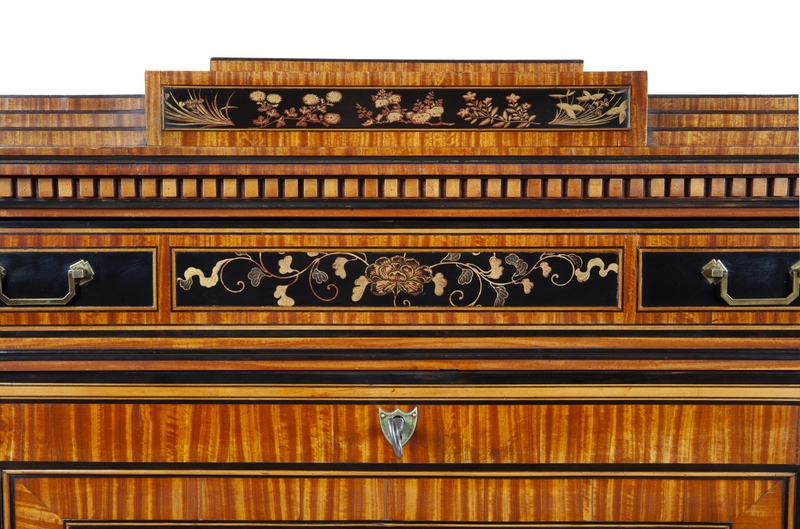 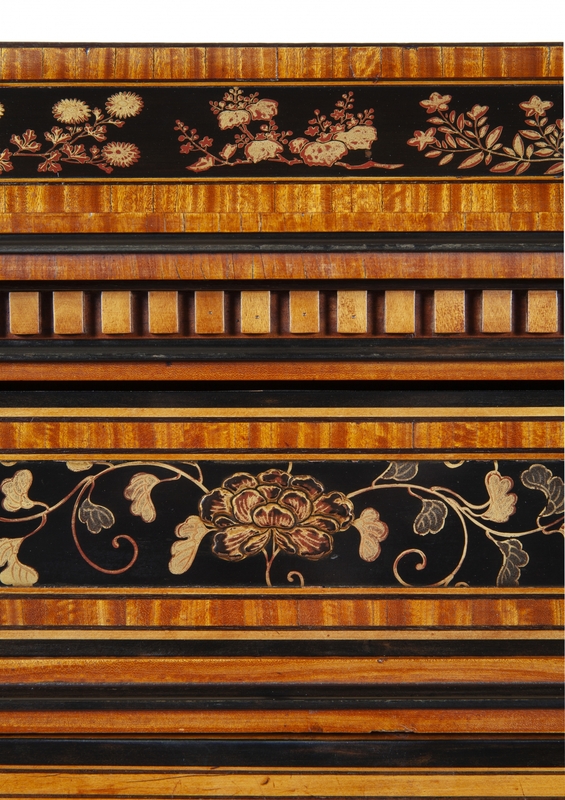 Overall the secrétaire is adorned with black lacquer panels of which the ones in the center of the fall front, the bottom two doors, the top drawer and the top are enriched with flower and foliage decoration.